No successful NHL team gets far without great talent. But not all of that talent gets a lot of attention. There are great players -- even Hall of Fame members -- who don't receive enough attention. Only afterwards do we realize just how good they were, and just how much they meant to their teams' success. It's hard to imagine a Hall of Fame member who starred in the NHL for a long time with less fanfare than Ratelle, a quiet center who was more than content to let his play speak for him. Ratelle and boyhood friend Rod Gilbert came up together with the Rangers, played together as linemates for years -- and both made the Hall of Fame. But while Gilbert was a flashy wing with a big shot, Ratelle was more like Jean Beliveau -- a slick center who defined elegance on the ice and class and dignity off it. Ratelle also tended to be overshadowed -- by players like Gilbert and Brad Park on his own team and fellow centers like Beliveau (early in his career) and Phil Esposito. Ironically, he and Esposito were traded for each other in November 1975. Ratelle also seemed fated to remain out of the limelight -- his best season, 1971-72, ended in early March because of a broken ankle after being hit by a teammate's shot. He also was in the wrong place at the wrong time when it came to championships; Boston was just a little bit better in '71-72, and Montreal beat Ratelle and the Bruins twice in the late 1970s. He was always content to remain out of the limelight, but Ratelle's accomplishments during his 21-year career are hard to ignore. Maybe it's because he wasn't very physically imposing in an era when goaltenders were getting bigger by the year. Maybe it's because he played for a dominating team that didn't rely on its goaltender to make a ton of saves. Whatever the reason, Osgood's 401 career wins, 50 career shutouts and three Stanley Cup rings with Detroit (two as the primary goaltender) often seem to get lost in the shuffle. Osgood watched Mike Vernon lead Detroit to the Cup in 1997, then led the Wings to a repeat the next season and was one of the NHL's most effective goaltenders for three seasons after that. But he was lost to the New York Islanders in the 2001 Waiver Draft -- and promptly led the Islanders to their best season in more than a decade. In 2005, he returned to the Wings, revamped his style and was better than ever, even taking the starting job from Dominik Hasek early in the 2008 playoffs and leading the Wings to another Cup with a 1.55 goals-against average. He came up one win short of yet another Cup the following year despite going 15-8 with a 2.01 GAA. Osgood is 10th all-time with 401 wins, fourth in winning percentage (.539) and is in the top 10 all-time in GAA (2.49). Yet he rarely received the kind of attention those numbers would seem to merit. In their dynasty years, the Islanders had five future Hall of Fame members -- Billy Smith, Mike Bossy, Bryan Trottier, Clark Gillies and Denis Potvin -- but they also had a great supporting cast, players who would have been bigger stars in different circumstances. 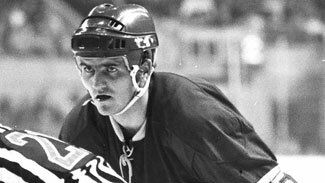 Persson, a Swedish defenseman taken with the 214th pick in the 1974 NHL Draft, was one of those players. Persson set a scoring record for rookie defensemen by piling up 56 points in 1977-78, then had 66 the following season as the Islanders won the regular-season championship. He was part of the first NHL team to win a Stanley Cup with Europeans on its roster when he helped the Isles beat Philadelphia in the 1980 Final and was a key member of the dynasty that repeated in each of the next three seasons. Persson wasn't flashy, but he was solid in his own zone and could play on any pairing coach Al Arbour wanted him on. He and Potvin were a lethal pairing on one of the best power plays of all time. Want to win a game of hockey trivia? Ask friends who led the 1993-94 New York Rangers -- the team that ended the Big Apple's 54-year Cup drought -- in scoring during the regular season. The answer is Zubov, whose 89 points made him the only defenseman in NHL history to lead a team that finished first in the regular season in scoring. He added 19 points in 22 playoff games as the Rangers won their first championship since 1940 -- but the Conn Smythe Trophy went to fellow defenseman Brian Leetch. Zubov spent one more season in New York and one in Pittsburgh before being dealt to Dallas, where he played for 12 seasons and helped the Stars win the Stanley Cup in 1999 for the only time in franchise history. The Stars' defensive system and the League's increased emphasis on defense limited his offensive production, but he put up at least 30 assists and 40 points in 11 consecutive seasons. He was named a Second-Team All-Star in 2005-06 at age 35 after a 71-point season and left the NHL in 2009 as its leading scorer among Russian-born defensemen. Everyone remembers that Chicago traded Phil Esposito to Boston in the summer of 1967 -- it's one of the most famous (or infamous, depending on the point of view) deals in NHL history. Often forgotten is that there were five other players involved in the deal, and that in addition to Espo, the Bruins landed Stanfield, who had been buried in the Hawks' farm system. The Bruins gave him a chance to play, and Stanfield became an ideal No. 2 center. He scored at least 20 goals and averaged 68 points in his six seasons in Boston, winning the Cup twice with the Bruins while spending most of that time centering for John McKenzie and Johnny Bucyk. He was a good player who found a perfect fit with a team that was on the rise, and he played an important role in the Bruins' success in the early 1970s. Today's fans are more likely to remember Lemaire as a coach -- he led New Jersey to the 1995 Stanley Cup and helped bring the Minnesota Wild into the NHL. But Lemaire was also a Hall of Fame player, albeit one who took a back seat to some of the bigger names who wore the bleu, blanc et rouge in Montreal during his 12 seasons with the Canadiens. Lemaire scored at least 20 goals in all 12 of his NHL seasons and had career highs of 44 goals and 95 points in 1972-73, then added 20 points in 17 playoff games as the Canadiens won the Stanley Cup for the fourth time with Lemaire in the lineup. He earned four more rings with the Habs, capping his career in 1979 by leading all playoff scorers with 11 goals and 23 points as Montreal beat the Rangers. Lemaire had a booming slap shot -- his 90-footer past Tony Esposito started the Habs' comeback against Chicago in Game 7 of the 1971 Final -- but he never put up the kind of big offensive numbers that oft-times linemates Guy Lafleur and Steve Shutt did. However, his two-way play let them focus on putting the puck in the net, and his consistency was a key to the Habs' success in winning the Cup eight times in a 12-year period. Ullman was another player who was in the wrong place at the wrong time when it came to earning attention. He joined the Detroit Red Wings in 1955-56, just after the Wings had won the Stanley Cup in back-to-back seasons, and was a solid point producer for more than a decade -- even leading the NHL in goals in 1964-65. But his arrival coincided with the start of a drought that would see Detroit go 42 years without winning another championship; he played in five Stanley Cup Finals and went home empty each time. The Wings traded him to Toronto late in the 1967-68 season -- but the Leafs, who had won the Cup four times in the six previous years, were beginning their own lengthy Cup drought. 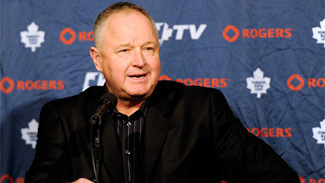 Ullman put up seven more productive seasons in Toronto before leaving the NHL with 490 goals and 1,229 assists. He had 16 seasons of 20 or more goals, 30 goals and 83 points in 106 playoff games and was inducted into the Hockey Hall of Fame in 1982. He was a model of consistency -- but didn't earn the attention he deserved while playing for more than two decades.